Don’t get me wrong, I’m still very pleased with the sales in October, so I’m not complaining at all! Almost £22k is not a bad number. I’m happy as long as the monthly sales are higher than the previous year’s because I know that progress has been made. Plus, I’m even more excited to share the latest news on my Amazon US launch, so without further delay, let’s get straight into the numbers—and we have lots of them to cover today! For those of you who are new to my monthly updates, here’s a quick overview of the business I run: This is an Amazon account I use specifically for this one particular product in just one niche I’m working in. Currently, the product itself has 18 variations, though I have them as separate listings because Amazon does not support variations in this category. 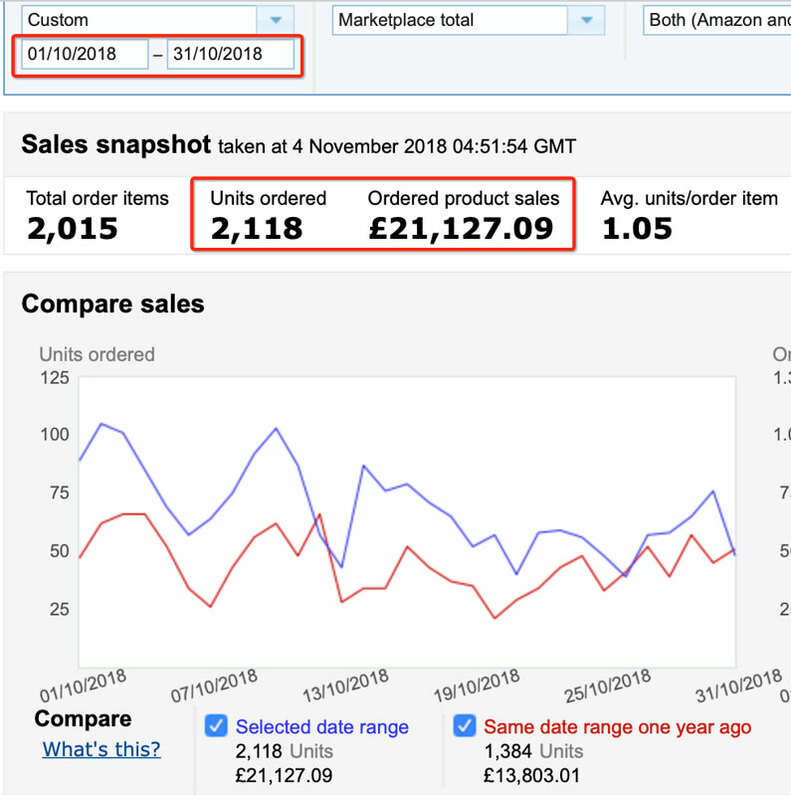 The product sells for £9.99, and after Amazon seller fees, FBA fees, VAT, product cost and shipping to Amazon, I’m left with a £4 profit per unit sold. That’s the number I use to calculate the profit in these posts each month. YES! Unlike many others, I show you the exact costs associated with selling on Amazon, and I show you my FINAL NET PROFIT number—not just sales! Sales are easy! I can make millions in sales on Amazon very quickly using aggressive Sponsored Product ads, but what truly matters is how much money you make at the end of the month. 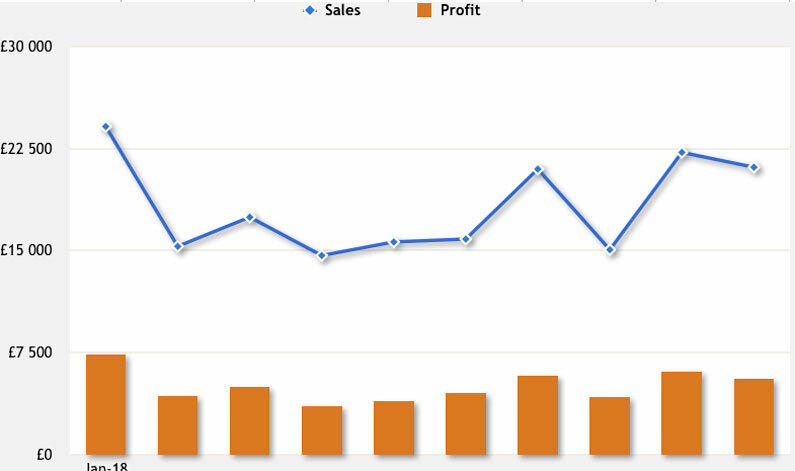 If all my sales were coming from organic traffic, my NET profit would be more than £8k, which would be amazing! My target for this business is to make £10k per month in profit, which I’m sure I will reach! However, I’m not quite there yet because I have to take into consideration how much I spent on ads to generate those sales. That’s 34% of my profit—a fairly substantial amount! 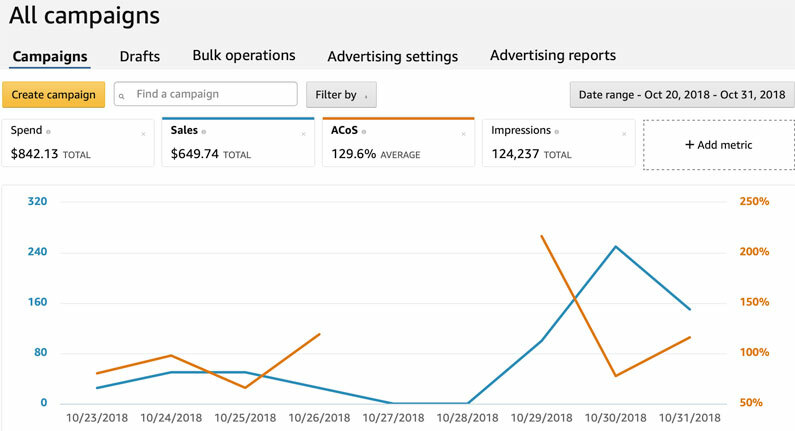 For those of you who are wondering why my ACoS is so high and why I’m spending all that money on sales that don’t bring in any profit, the reason is simple: I continue running ads to keep my sales velocity at maximum levels, which directly helps with organic rankings too. 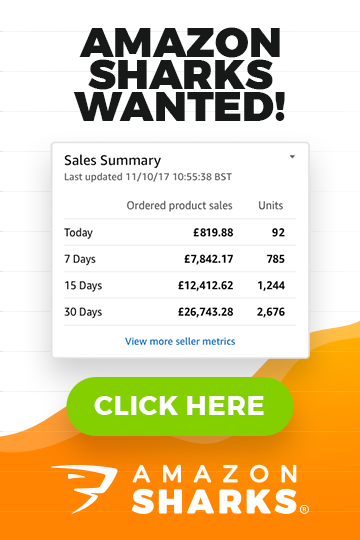 I’m happy to NOT make any profit on the sales that come directly from my ads because it creates a higher sales velocity! That’s exactly why I do it! At least, that’s why I do it for now. The more the business progresses, the higher my review numbers and the more rankings I get, the more my advertising spend should reduce. 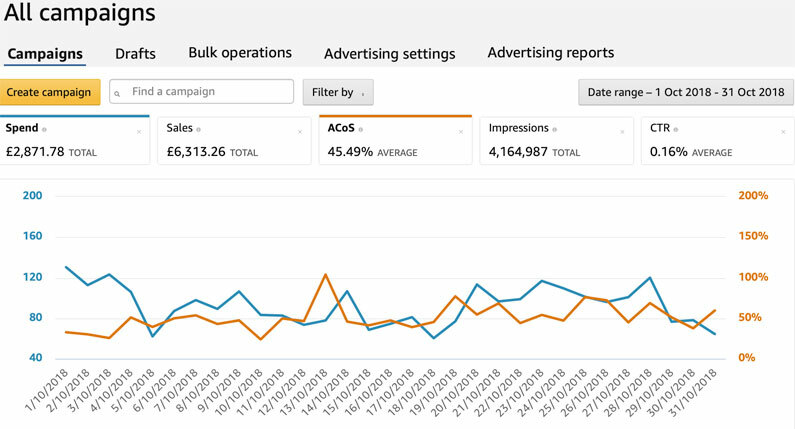 I will continue monitoring the situation and adjust as needed, but I still think that running ads—even when you’re established—is a good strategy because you get MORE real estate in the Amazon search results! When you rank high organically AND use ads, your listings are everywhere on Amazon! In addition to direct sales, it also helps with your brand recognition! There’s another benefit of using ads: with AUTO campaigns, your listing will be displayed on competitor listings too! This is an easy and cheap way to steal customers from your competitors—and the best part is that they can’t do anything about it! So when you look at your search term report, you will see many different ASIN numbers that have generated your sales. Those are the competitor listings that are responsible for that traffic and the resulting sales. Not bad at all! I’m very happy with this result because it means I’m halfway to my target profit of £10k per month. And that’s just one year into the business! I’m starting to think that my target profit of £10k per month is too low since I want to stick with this business for many years to come. I should probably re-evaluate my targets and set the bar higher! I will probably do this at the end of the year when I do my planning for 2019. £50,000 in NET profit made so far in 2018! That’s a GREAT milestone to achieve! However, there’s one thing you need to consider when looking at these figures: I didn’t keep that money. I haven’t taken out a penny of that £50k. I have reinvested most of it back into business by creating new product variations, improving stock levels, expanding to Amazon US (HUGE EXPENSE! ), paying for better designs, listing improvements and so forth. Taking money out of a new and growing business is a foolish thing to do. For the best chance of success, it is vital to reinvest all profits back into the business for as long as possible! This is the fuel of your business—you need it to gain momentum and reach higher levels of profits! As much as you won’t want to, you WILL have to do it! If nothing else, you will need to grow your stock levels all the time, and most of your profit will go back into purchasing this new stock. As I have a manufacturing angle involved with this particular business, I have invested in employees, our office and manufacturing facility, equipment, etc. I need to hire more people and build up stock levels for my next steps in this business, which I will cover at the end of this video. Doing this takes ALL the profit I generate, and luckily for me, I make enough profit each month to make a significant investment into progressing the business. If that wasn’t the case—if I had no profits or I was taking the profits out of the business for myself—I wouldn’t be able to grow the business as quickly or I would have to give up a stake to an investor. Now, there’s still November and December left in 2018, so I’m pretty confident that this year’s turnover will go above the £200k mark. 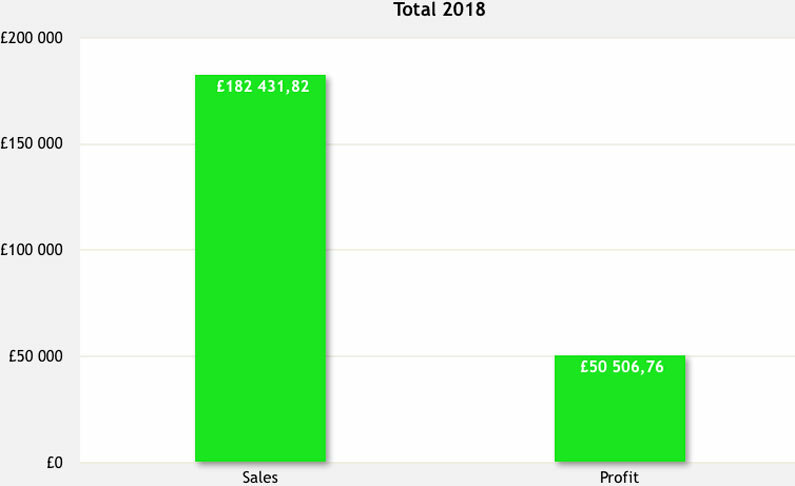 My NET profit for the year should be £60k+! This is the first full year that I’m facing the Christmas shopping madness, so, who knows, as long as I can sustain stock levels, maybe I will see some crazy sales figures in the last two months of the year! So that’s the UK side of the business. Now let’s talk about my expansion to the USA! In my previous update, I told you that the product had been finished and sent off to the US! In October, it successfully reached Amazon, and I started selling on October 23rd! I made my first sale on that very first day, and, as many of you know, nothing beats the feeling of that first sale, first review and first feedback! Those of you who already sell on Amazon will know exactly what I’m talking about. Before we look at the numbers, we need to break down the product costs, fees and net profit per unit sold—just like I have done for the Amazon UK business above. This lets me (and you) know exactly how much margin I’m working with, what my NET profit at the end of each month is, and so forth. I will use US dollars in all my calculations here, then I’ll convert the final profit and sales figures into pounds using the currency exchange rate from XE.com Yes, I know that it won’t be the exact same rate from month to month (some months will be better, some months will be worse) depending on how the exchange rate fluctuates throughout the month. However, I need a reference point here to make these calculations as simple as possible. Also, don’t forget that I’m using a Transferwise account for my Amazon US withdrawals. This means that I am actually getting a TRUE market exchange rate on any given day, and I pay very low fees to receive dollars. If you’re based outside the US and sell on Amazon.com, I highly recommend you check out my article on Transferwise to see how you can save money by getting a much better exchange rate than your bank offers. Ok, let’s get back to the numbers. The product sells for $24.99, and that is at the higher end of price range if you look at what direct competitors are doing. Selling a premium product at a premium price has been my strategy my whole life, and it has not failed me once. By premium, I don’t mean luxury—far from it! By premium, I mean a product that is faultless, does exactly what it should do, has an amazing brand, and is at a price point that is FAIR to my customers and me. Many people use the term “GREAT VALUE” in my product reviews and seller feedback. So, my product is NOT expensive, even though it sells for a price that sits at the higher end of the price range for that product. The product cost is $4.20. Shipping to the US, including import duty and customs clearance is $3.33. Shipping that first pallet of 600 units cost me $2000 via air freight, which is A LOT! I have a plan for how to get that number down, but more on that in a minute. $8.62, in terms of my profit margin, is 35%. That’s not bad at all! BUT, in future, I want to reduce those shipping costs by using sea freight. I’m confident I can bring that shipping cost down by at least $2 per unit, which means that my target profit per unit sold will be more than $10, closer to $10.50, and that will be a 40%+ margin, which is what I always like to see when it comes to Amazon FBA products in such a low price range. But sea freight is not an option right now because I’m having an inventory shortage problem on all fronts! Christmas is coming, and I can barely manage my UK inventory at this time, so I don’t have the time to let a few thousand units of this new product ship slowly via boat for a few months. I will get to this stage, but it will be next year. So, for now, let’s use $8.62 as my net profit per unit sold. Of course, I could have lied to you right here, said that I shipped the items much cheaper via sea, and created the illusion of a higher margin (which some people do), but that’s not what I’m here for. I make these posts to give you a TRUE reflection of my business as it stands, and also because it’s a real diary for me. I’m looking forward to re-watching these videos in five or ten years to see where I was in my journey and what I was doing with my Amazon business. For me, it is an interesting piece of my personal history, so I want to document it as accurately as possible. 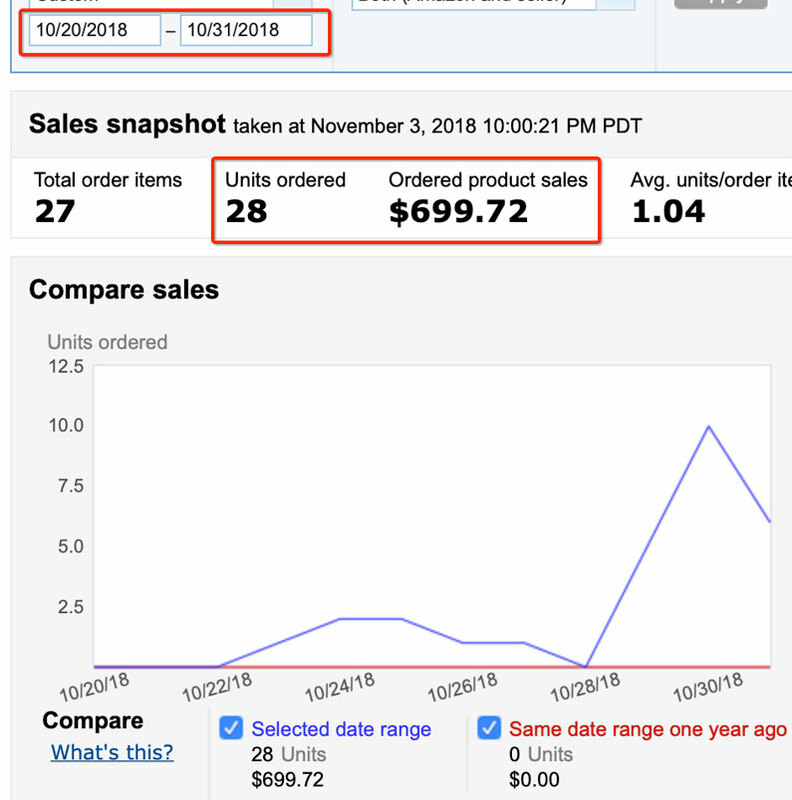 In total, starting from October 23rd, I sold 28 units, which resulted in sales worth $699.72. Almost $250 in the first week! Great, right? Too early to put down that lease payment for a new Lamborghini, right? Yes, indeed. I spent a lot more on ads than I made back in profits. And this is fine. I totally expected this. My whole product launch strategy relies on using Amazon ads in a very aggressive way, which basically means bidding the highest bid amount to show Amazon how relevant and good my product is as quickly as possible. Here’s how it works: when you launch a new product on Amazon, your listing has no history. Amazon doesn’t know what it is, how relevant the product is for any search terms, what the conversion rates are, what reviews will say, etc. It’s essentially a blank page for Amazon. And even though you look at your super shiny and beautiful listing and say “it’s DA BEST out there!”, Amazon doesn’t know that—yet! You have to prove yourself first. The easiest way to do this is by using Sponsored Product and Sponsored Brand ads. Create Auto and Manual campaigns to start driving traffic your listing. Bid high to speed up the process as Amazon likes making money from ads, and they will show your ads A LOT if you bid high enough. As soon as you start doing this, you start building up your listing’s history. Amazon’s algorithm begins picking up on the search terms buyers are using to select your listing from search results (this is called the click-through rate). It notices the trend of how well your listing converts for various search terms, and this is called the conversion rate. Amazon gathers information on how GOOD your product is when you start getting your first product reviews and so forth. This is obviously a much longer conversation; I’m just scratching the surface here. If you would like to learn more about my product launch strategy or about what I do, check out my blog’s archive where I share lots of free information on how to start and run an Amazon business. If you’re looking for a more hands-on approach, training, and my personal support, check out my Amazon FBA course: Amazon Sharks. It’s a complete, step-by-step system on how to start a successful Amazon business from scratch. This program is completely based on my own Amazon business, using real-life examples from that business. Hundreds of people have already completed the course, and there are many success stories already published on the website. So, if you want to start a successful FBA business of your own, you can check it out at AmazonSharks.com. 1) This is a super competitive niche with high bids. I have said this before: I’m doing this partially to entertain/teach you and partially to challenge myself and prove that I can (or can’t) get into a highly competitive niche on Amazon. In normal circumstances, I would not get into this product niche on Amazon.com because the competition is way too high. Just take a look at what Jungle Scout shows! Yes, the sales potential is definitely there, but you can also see competition, right? 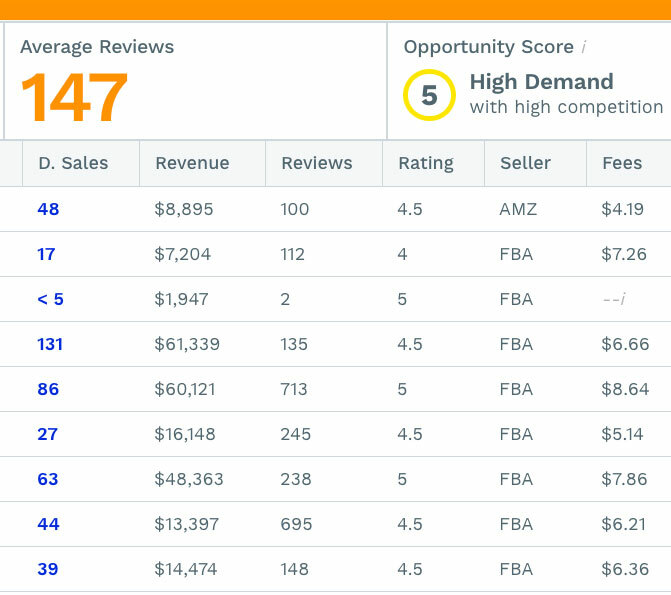 There are tons of established listings with crazy high review numbers! If you’re just starting out, don’t even THINK about getting into a product with numbers like these. 2) I can afford to take chances because the UK side of my business is doing so well. I’m using the profit I made in the UK to subsidise this whole US launch. Please don’t assume that each and every product launch on Amazon goes like this. My product and journey are an extreme example, and I know that I will lose thousands of dollars in November on my ads, but that’s the way I rock! I just hope it will be worth it all in the end and that I will be able to rank the product organically. If not, well, it’s a lesson learned! But if I do make it, this will be all the proof you need that you can make it work, even in competitive markets. Time will tell. Ok, we have covered October’s UK and USA results. So, what’s next? First of all, from now on, I will be combining my sales and profit/losses in these monthly update posts and videos because, at the end of the day, it is all one business and should be treated as such. As I said, I will be using the XE.com exchange rate as my reference point, so let’s see what the TOTAL numbers look like. Now let’s take a look at profit numbers. I have been selling online for almost 15 years now. While I have done well and made lots of money in various businesses, I haven’t built anything really big. I always seem to get bored with the product or niche, sell off the business and move onto something new, so I never really stick with any of the brands I have created long enough to turn it into a large, multi-million-pound business. I want to change that. With this business and brand, I want to build something big and meaningful. Maybe someday I can call it a true family business, get my kids involved over time (if they want to) and build a well-known company and brand name in this industry. So, for me, it’s not really about how much profit I made in one month or another. I have a much bigger vision for this business, and that’s why I’m heavily investing in the growth of it! Right now, I’m in talks with Shopify developers to start working on an eCommerce store for this brand. This alone will take significant resources, not to mention time and energy, and I hope to launch my shop early next year. Apart from that, I have already booked two trade shows for next year as I want to move into the wholesale game with this brand too. There’s HUGE potential in wholesale for many Amazon sellers and brand owners, but they don’t even explore that option. I will! And I will keep documenting my progress and share it with you as I go along. I have been to many trade shows in my life, but only as a visitor, so the whole exhibiting side of it makes me very nervous as it’s all new to me. But it also makes me super excited because I can’t wait to see people’s reactions, interact with potential clients, and all that good stuff that comes from being there in person! While 2018 has been a great year, it’s only the beginning. I wanted to wait out this year to see if the product and business would work. I wanted to see that people genuinely liked my product. This was my “proof of concept” year, and I can now clearly see that there’s huge potential to make it much bigger! Next year, I will expand into my own online shop, go to trade shows and try to get into wholesale, so there will be PLENTY of great, new content and strategies to share with you! If you haven’t done it already, make sure to subscribe to my YouTube channel, and if you’re looking for my personal guidance on how to start an Amazon UK FBA business, don’t miss out on the Amazon Sharks opportunity! Oh, I almost forgot! 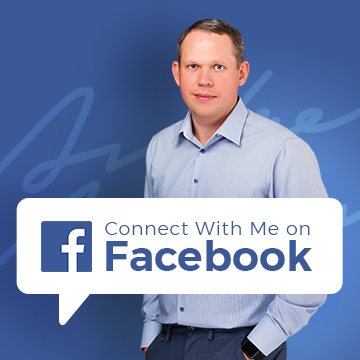 I have also created a Facebook group dedicated to Amazon FBA sellers— specifically for those of you who sell or want to sell on Amazon UK! You can easily find the group on Facebook by searching for Amazon Sharks. This group is completely FREE to join, and you will get tons of great value there! Almost daily, I share tips and tricks with everyone, answer questions and boost motivation by sharing my own successes. There are many experienced Amazon Sharks students who also share their advice and help new members with their questions, so definitely check out this group and JOIN US! Congratulations on your results, very inspiring and motivating! Thank you. Novice question here – do you include storage fees in your net profit figure margins? And if so, howe accurate is Amazons FBA calculator? I personally find it incredibly difficult to make any sense of Amazons Storage Fee reports to understand what I’ve actually been charged each month. When I down load the report, the data is very difficult to interpret. Do you have any advice on how to digest it simply and accurate? Because of this, combined with the fact that the storage fee’s can vary monthly drastically based on the time of year, levels of inventory, sales velocity etc, how accurate can we really be with our net profit figures? No, I haven’t included storage fees in these calculations as they’re relatively small to sales/profit amount I make. Usually, it’s less than £100 so it’s really not affecting me much. I think there is software out there who can break down that storage fees report but can’t remember the name for it. Try using Google to find it, if that’s so important to you. 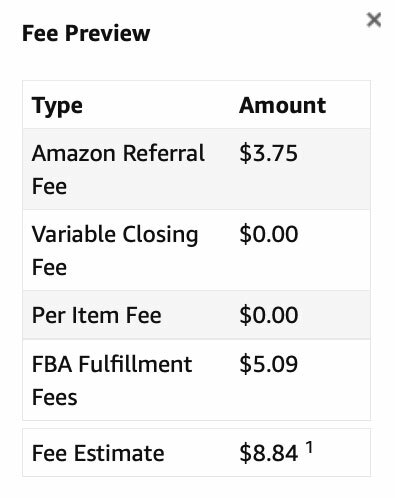 One last point – how accurate in your opinion is the Amazon FBA calculator for determining your storage fee? Don’t mean to beat a dead horse, sorry – just trying to really understand the break down of fees. Then simply calculate the storage fee based on that. This will give you the most accurate information. Congratulations on your results and thanks for the article. Extremely novice question – how do/should you calculate ROI as an amazon UK private label seller after tax? Just like with any business – you calculate all the costs/expenses and take them off the sales and you get your profit. 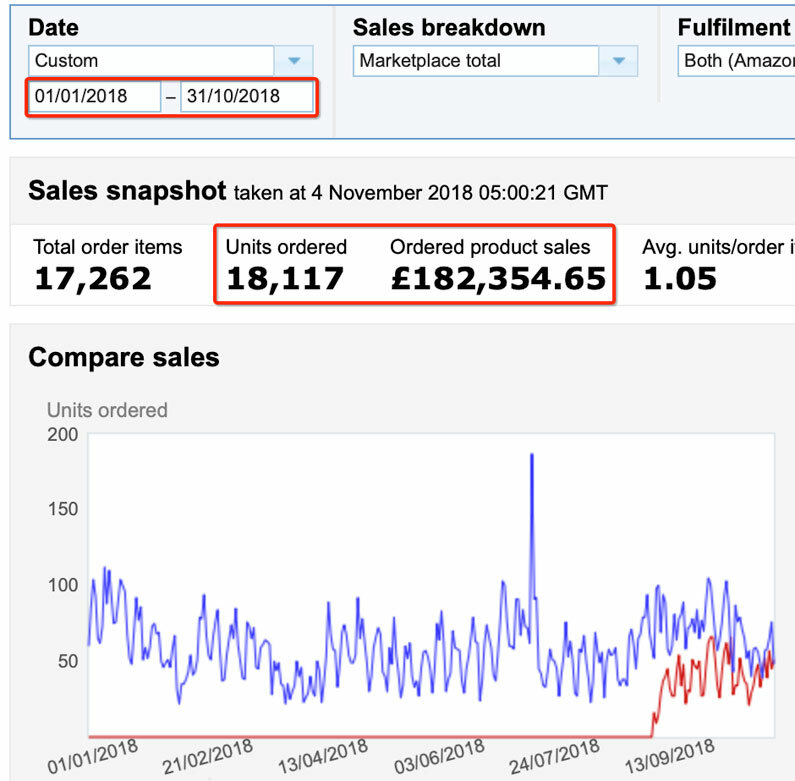 It’s very easy to do these calculations for each product you sell on Amazon because all the costs (apart from the ad spend initially) are well known and you can do these maths before you even have a product on hand! Great content Andrew. Thanks for alll the detail. Great to see things from a UK seller rather than the usual US ones. Looking forward to following you in the future as I develop my own FBA business. So expensive! i didnt know that 🙁 Ok will look forward to hearing how you get on, I hope that its just the starting costs and the US market will pay you back big time later on after a few months! It’s only because I’m trying to get into a market I shouldn’t basically 🙂 The competition for this product is extremely high on the Amazon US, click prices are out of this World and, to be honest, I start to realise that this expansion to the US was a big, big mistake… I will keep pushing it through November and update on my progress next month but it does not look very promising at the moment. I’m fine with this though – it’s all a great lesson, especially for my followers – to know that you have to stick with the plan and do not get into products with a super high competition. It’s just not worth it when there are thousands of much more profitable opportunities out there. And it’s not only about the number of competitors I’m talking here – it’s about many other things that come with it. As I said, I will go into more details in my next video probably. Yes, the PPC part. In general, competition on Amazon.com is much higher and PPC bids are much higher too, compared to the UK marketplace. If I can buy a click for 50p on Amazon.co.uk, the same keyword can cost $3+ on Amazon.com So it is super expensive. I don’t know how this all will end, lol, it could be that I will quit the USA side and just concentrate on the UK market. I guess I will see that in the next 2-3 months time.